When is a Terabyte not a Terabyte? When you’re licensing with IBM (and possibly others*). This licensing metric used for IBM software storage products seems to be self-described by its name – Terabyte. A Terabyte (TB) is a unit for measuring digital information. Tera– represents the fourth power of 1000, or 1012, or one trillion bytes. However when you read IBM’s licensing definition of the Terabyte metric, it’s not 1012: A Terabyte is 2 to the 40th power bytes. Outside of IBM, 240 is generally considered a tebibyte (TiB). The difference between 1012 and 240 is not huge – only 99,511,627,776 bytes. A rough ratio of 1 TiB to 1.1 TB can be used. 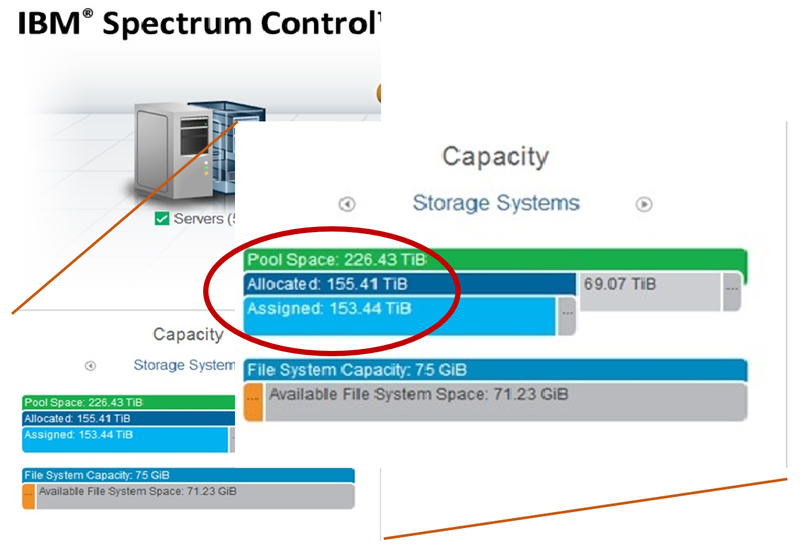 Where this comes into play with IBM licensing is when storage is measured in real Terabyte (TB) and then someone mistakenly buys that quantity of Terabyte licenses from IBM without verifying the underlying definition of a Terabyte, and then I see it again with software audits. If I have 500 Terabyte licenses, it covers 500 TiB or 500 IBM TB. Once the numbers are expanded to reflect the definition behind each measurement, it would be discovered that 500 TB licenses covers 500 TiB or 549 TB (1012 bytes). If the conversion was done for the license purchase but not applied to an audit situation, you may be found mistakenly non-compliant for the range between 501 and 549 TB deployed. Best practice would be to understand the vendor’s license definition even if it seems self-explanatory, and also how the deployed product is measured. * Google Cloud Storage uses the same Terabyte definition as IBM – a Terabyte is 240 byte.